Make this your Hawaii home at this affordable price! Beautiful one bedroom, one bath home is located on paved Mauna Kea Road in Ainaloa. The home has a large open kitchen/living space with an open beaming ceiling. The bedroom also has an open beam ceiling, a large closet and three windows for good airflow. The home includes stainless steel appliances, laminate floors, ceiling fans, large kitchen with an island. Spacious with lots of windows and natural light. Use the large covered lanai just off from the living room as a second living area and use it to easily access the backyard. There is a community center close to a mile away. 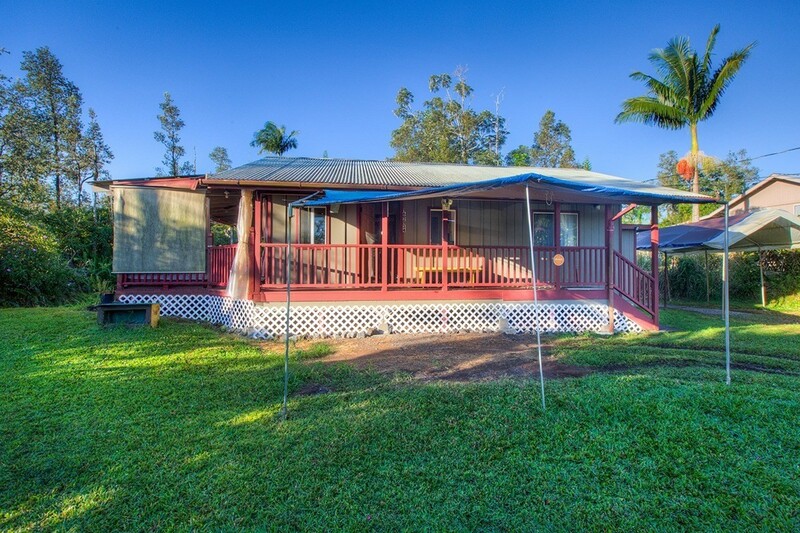 Easy short drive to Hilo and Keaau with shopping, parks, medical facilities, and schools. Home is being sold with all furnishings included. Just move-in!